Officially named "Casino de Monte-Carlo", the Monte Carlo Casino is a gambling and entertainment complex located in Monaco. 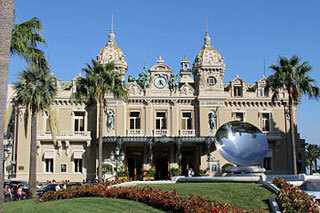 It includes a casino, the Grand Théâtre de Monte Carlo, and the office of Les Ballets de Monte Carlo. This article uses material from the Wikipedia article "Monte Carlo Casino", which is released under the Creative Commons Attribution-Share-Alike 3.0 License.